This will soon become a regular feature in the paper about what is happening with; Dartmouth Caring, Dartmouth Medical Practice, health services (physio, occupational therapists, district and community nursing, etc. ), Patient Participation Group, and the League of Friends. The aim being to keep the town and local villages up to speed with what is happening and changing. All the more important given recent news. This regular feature will explain more about how the new means of delivering health and social care in the community will look and feel in practice. Alongside this, there will be an attempt to explain why the changes are happening, or not happening, in the way in which you want and need. The purpose of this initiative is to ensure that we are all better informed, reducing the need to rely on word of mouth and rumour, something which we all know becomes less and less reliable the more it is shared. A new community group is being set up, to be launched in the Spring to help the community better support itself and lobby for its needs. “to act as a lever to strengthen the voice of local people, ensuring that their needs and experiences are considered as an integral part of the delivery and development of health [and Wellbeing] services and that services are effective and safe”. This will include explanations of the terms and phrases used by the NHS, for example “Intermediate Care”. Intermediate Care – What is it? This phrase is widely used when describing our new model of care, the system that the NHS is rolling out across Devon and the rest of the country. In its communications the NHS seems to forget that most of us have little idea what these words and phrases mean in plain English. What does Intermediate Care actually mean? For some time before it closed Dartmouth Hospital only provided Intermediate Care (IC) beds, with nursing support. Due to the inspection in November of Riverview Care Home, and the subsequent decision of the home’s owners to withdraw their IC beds, we have seen a loss of 6 IC beds. 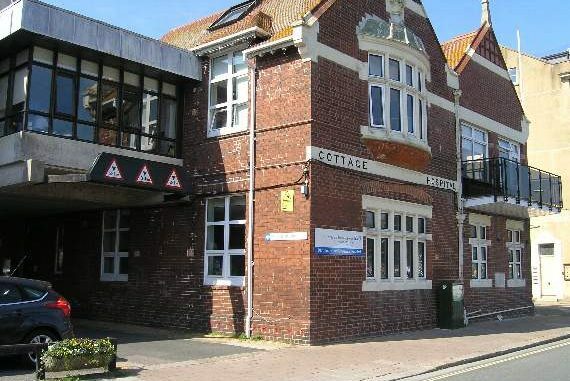 The longer term plan remains for six beds to be available, supporting local people needing this level of care, with nursing support, however, we currently have two IC beds in Dartmouth to provide for the needs of the local population. Most of the time this will be sufficient – but not always. While Dartmouth Hospital had more beds than this typically only 2 or 3 were occupied by local patients, so 6 beds should be sufficient. Intermediate Care is for those who will be unable to manage independently on discharge. It is arranged by the hospital and social work team before a patient is discharged and it may also be used to enable you to stay at home following an emergency breakdown in care services (for example, a caring partner has been taken into hospital). You or a relative will get intermediate care regardless of income and savings. The hospital and, or social services will provide what is assessed as being needed, from physiotherapy to carers. The aim is to get your relative back on their feet and to ensure that they are as independent, mobile, confident and medically fit as possible. If your relative is being discharged from hospital but has complex care needs, they might also be eligible for NHS continuing healthcare or NHS-funded nursing care in a care home. Is this an “official” comment ? And if so what exactly makes it official ? Dart Patients Group Is working with Dartmouth Medical Practice, Dartmouth Caring, Townstal Community Partnership and other concerned local groups to improve health and social care and wellbeing more generally in the Dartmouth area. One aspect of these efforts is to convey to the local NHS managers our grave concern at their failure to bring the Riverview project to fruition. We believe that the refusal of the owners of Riverview to come to terms with the NHS is a huge lost opportunity for them to turn their building to good use. The idea that Dartmouth area could support a profitable 80 bed Care come is a fantasy. The proposal to turn Riverview into a multi-purpose health centre an 36 bed Care Home is a brilliant solution for what is otherwise an embarrassing white elephant. We hope the owners will re-think, but if they don’t then we need to actively explore the alternative of self-standing Health and Wellbeing Centre. We really do not care one way or the other about the profitability of Riverview. What we care about is the correct provision of healthcare. We had a system that was not broken. T did not require a draconian fix. We were lied to when staff were recruited for the Minor Injuries Unit at Dartmouth Hospital. The Trust CEO stole them. We have been lied to all the way through. We have had enough of being told by alleged experts what is good for us. Those experts have a habit of letting us down. They are not fit for purpose. Convey to the local NHS managers the need to re-open Dartmouth Hospital NOW. The dream of a concrete and glass edifice at the top of the hill is a nightmare. It had no useful parking and no useful transport access. They were wrong. Let Riverview go bankrupt if necessary. Carillion was not bailed out, nor should Riverview. I am not sure who ” Tim” is but I would like that opportunity since he seems to me to be exactly the kind of person who would ensure that the best interests of the town are defended. What do we have to do Tim to ask you, and maybe a few like you, to come forward before all of this deceit is clothed in the dead blanket of mumbo jumbo which is already beginning to be doled out – even on these very pages !! I will consider attending a well constituted meeting, Philip, one with terms of reference, and a structure. I’m happy to fight for what I believe to be correct and to seek to destroy deceit, grandstanding, self aggrandisement, overweening ambition. I continue to be wholeheartedly against the migration of DMP up the hill to a concrete and glass edifice despite the many voices raised in favour of it. I am totally for re-opening Dartmouth Hospital, and for keeping the Clinic open. The hospital is Dartmouth;s given by public subscription, and axed by a set of management gurus in the NHS aided and abetted by local voices who should know better. 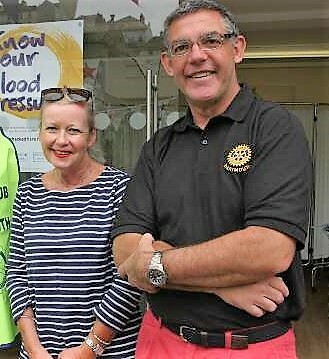 Nick is a member of the local group formed to look after the Interests of Dartmouth residents. Nick sent me this statement in response to my post yesterday and to inform those people who are showing their concern on Facebook and other channels. Nick was happy for the statement to be assigned to him so you should take it as an official response. Actually what does it matter as it is very informative for those who are concerned. As for “A new community group is being set up, to be launched in the Spring to help the community better support itself and lobby for its needs” that is too little too late. We have walked along the primrose path to “the sun will come up tomorrow, bet your bottom dollar….” My bottom dollar is my health and that of my fellow residents. Who will gain from the sale at a knock down price? Follow the money! Who is in the running to buy the site? Who will make a huge profit from it? Dartmouth bought the hospital on the first place. We must not be cheated out of it. It is ours and its future is not to be decided by Dartmouth Caring or the toothless PPG.